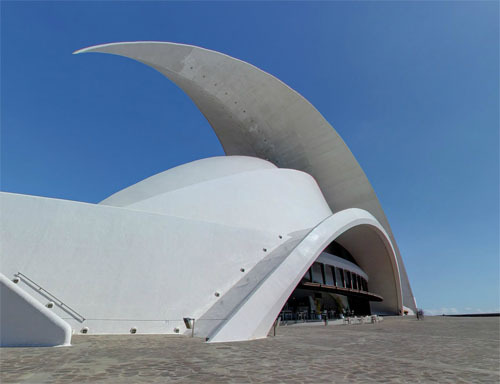 The Auditorio de Tenerife “Adán Martín” (formerly named, but still commonly referred to as, Auditorio de Tenerife), was designed by architect Santiago Calatrava Valls. 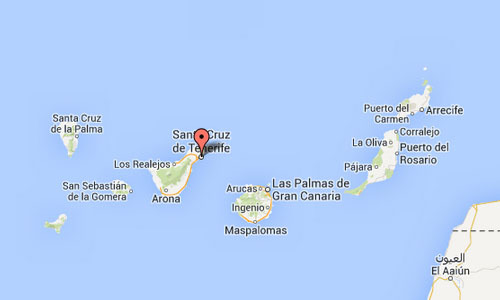 It is located on the Avenue of the Constitution in the Canarian capital, Santa Cruz de Tenerife (Canary Islands, Spain), and next to the Atlantic Ocean in the southern part of Port of Santa Cruz de Tenerife. Construction began in 1997 and was completed in 2003. The auditorium was inaugurated on 26 September of that year with the presence of Felipe de Borbón, Prince of Asturias, and was later visited by former U.S. President Bill Clinton. 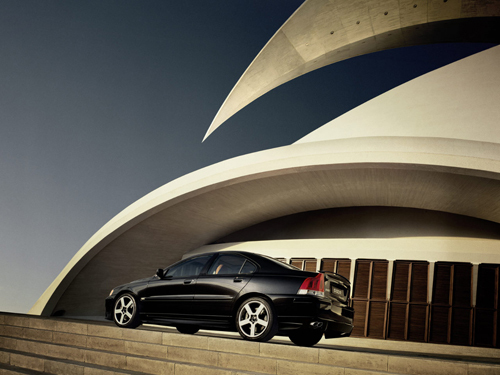 The building is framed within the tenets of late-modern architecture of the late 20th century. 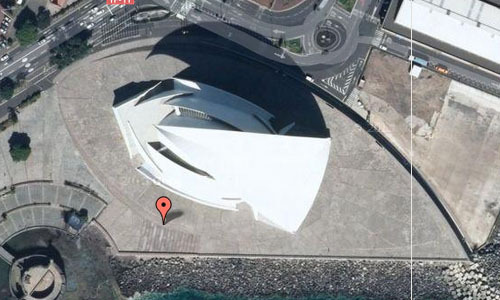 The Auditorio de Tenerife is situated in a central area of the city of Santa Cruz de Tenerife, near The Avenue of the Constitution, the Parque Marítimo César Manrique and the Port of Santa Cruz de Tenerife. 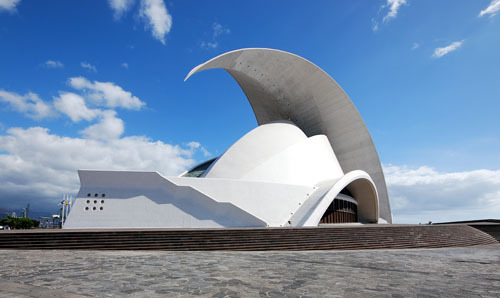 The auditorium is located near the Tenerife Tram station. Near the auditorium stand the two Torres de Santa Cruz, which are the tallest buildings in the Canary Islands, and the tallest residential building in Spain until 2010. The auditorium and the towers are the most recognizable and photographed view of the city. The building stands on a plot of 23,000 m² of which the auditorium occupies 6471 m², divided into two chambers. The main hall or Symphony, crowned by a dome, has 1,616 available seats in an amphitheater and a stage with an opening of 16.5 meters and a depth of 14 meters. Organ pipes emerge from both sides of the pit, designed by Albert Blancafort (who has also been involved in the construction of organs at the Cathedral of Alcala de Henares and the Auditorio Alfredo Kraus on Gran Canaria). 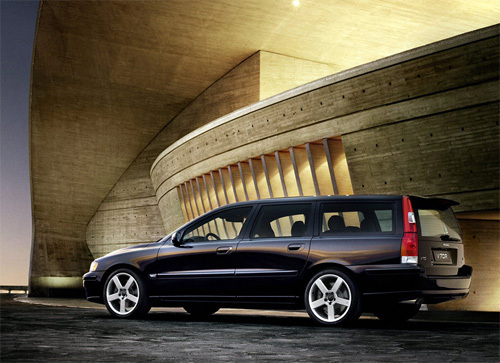 The auditorium differs from traditional designs, attempting to surround the listener with sound sources. The chamber hall, with 422 seats, reproduces the symphony hall amphitheater on a smaller scale. In the lobby, accessible from two sides of the building, are the press room, a shop and cafe. The building also has a dozen individual dressing rooms, as well as rooms for hairdressing, makeup, costumes, etc. The exterior has two terraces overlooking the sea. The building is famous for its great “arc”, this element marked a before and after in the history of architecture, it is the only large arch supported by only two points of support, while the tip appears suspended gravity defying. 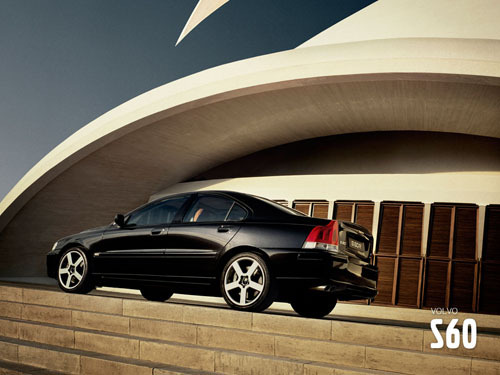 The silhouette of auditorium seaside evokes the Sydney Opera House in Australia. 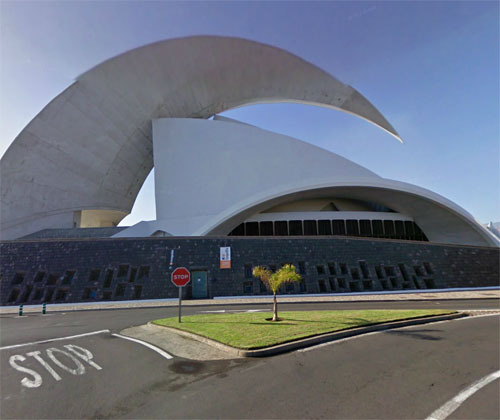 This has meant that since the construction of the Auditorio de Tenerife in 2003, has popularized the term “The Sydney of the Atlantic”, to refer to the city of Santa Cruz de Tenerife. 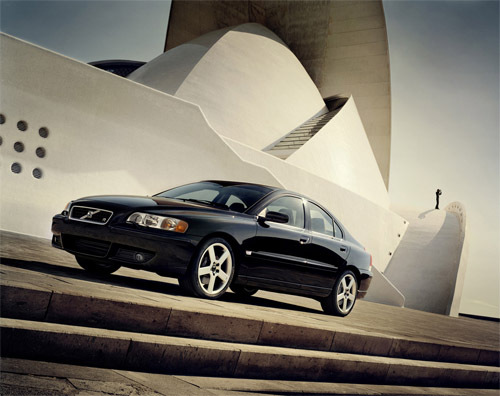 More information on en.wikipedia.org, www.auditoriodetenerife.com and www.todotenerife.es.